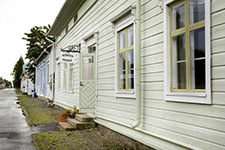 All the pieces of the Museum have been donated by inhabitants of Kaskinen. Practically all pieces have a connection to the history of Kaskinen. All the pieces are owned by the registered association Kaskö hembygds- och museiförening and they are located in the museum building at Rådhusgatan 48. The Museum building was built 1850 by Carl Daniel Renström, a local shipowner, fabricant and tradesman. The association restored the building preserving the typical home setting of a bourgeois family from the latter half of the 20th century. The building has a cultural significance and it is protected by the city plan. 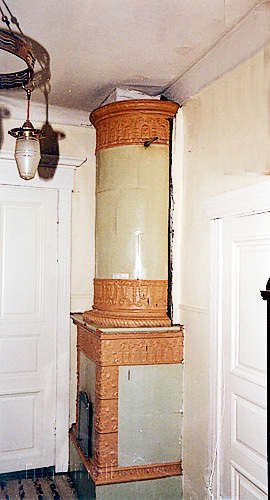 In every room there is a restored tiled stove or a stove from different ages. The Museum pieces and collections form interiors and settings in the many rooms of the Museum. 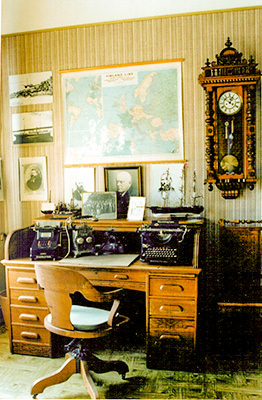 A complete shipping agency office from the early 20th century tells how important the port activity has been for Kaskinen. The fishing shed tells about the importance of fishery for the town of Kaskinen in bygone times. 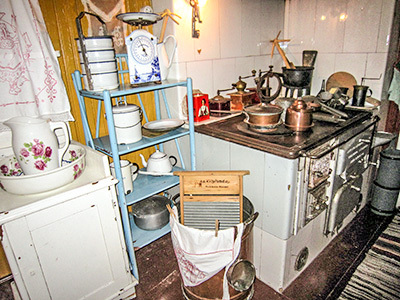 We are also proud of a complete kitchen interior from the early 20th century. The grand parlour with ceiling paintings from the late 19th century and a chandelier from the old church are worth seeing as well as the old punch veranda with a view over the garden and the strait of Kaskinen. The Museum has a considerable collection of art by local artists. One of them is painter and alderman Thure Georg Sundell (1864-1924) whose paintings depict Kaskinen and the archipelago around it. A real gem of the Museum is the textile collection. 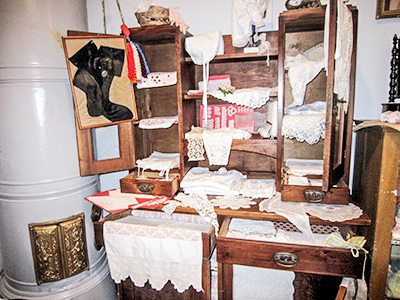 In the Museum's closet room you can explore the swings of fashion over time and fantastic needlework pieces. A prime example is a wedding dress in silk from 1822. The Museum has an extensive collection, over 9500 copies, of old photographs from 1850 onwards. The collection consists of BW and colour photos plus glass plate negatives. The photos tell about people and living in Kaskinen. The entire collection is digitised and annotated. If you are interested you can purchase copies of the photos. Contact kaskohbm@gmail.com for details.